Mary H. (Sullivan) McElhiney- of Woburn, November 24th at the age of ninety-two. Beloved wife of the late Leo F. McElhiney. Loving mother of Dennis P. McElhiney, his wife Barbara, and the late Atty. John D. McElhiney, his wife Sheila, all of Woburn. Devoted “Nana” of Stacey D. Terry of Ipswich, Dennis P. McElhiney, his wife Alexandra of Peabody and Joseph L. McElhiney of Woburn. Cherished great-grandmother of Brianna, Alyssa and Cole Terry, and Stella and Spencer McElhiney. Dear sister of Joseph J. Sullivan, his wife Patricia of Woburn. Also survived by many nieces and nephews, whom all loved their dear “Auntie Mary”. A Funeral will be held from the Lynch-Cantillon Funeral Home, 263 Main Street, Woburn on THURSDAY, November 29th at 9 a.m. followed by a Funeral Mass in St. Charles Church, 280 Main Street, Woburn at 10. Interment in Calvary Cemetery, Winchester. Relatives and friends are respectfully invited to call at the Funeral Home, WEDNESDAY, November 28th from 3 -7 p.m. In lieu of flowers, donations may be made in Mary’s name to the Boys and Girls Club of Woburn, 1 Charles Gardner Lane, Woburn, MA 01801 or to the La Salette Shrine, 947 Part Street, Attleboro, MA 02703. For directions or to leave an online condolence, please visit www.lynch-cantillon.com or Facebook under Lynch-Cantillon Funeral Home. Mary Helene (Sullivan) McElhiney passed away at the Woburn Nursing Center, Sunday afternoon, November 25th. The beloved wife of the late Ret.Chief Leo F. McElhiney, WPD, she was ninety two years of age. Born in Woburn, Mary was the daughter of the late John L. and Martha (Stanley) Sullivan. Mary was raised in the South end of the city, where she attended St. Charles Elementary School and graduated from St Charles High School along with the Class of 1942. In 1949, Mary married her long time friend Leo “Mac. “ They had known each other all the while growing up in the same neighborhood! They journeyed together for over fifty -four years, the next street over from where they grew up! Always and forever right there in the south end! Mary and Leo were blessed with two sons, who were undoubtedly the apple of their mothers’ eye ;Dennis and John. When Mary’s Mom passed away, her Dad and her brother Joe moved right in with them. Many, many happy memories and traditions were established during those years and have carried on over the years. Hampton was the vacation spot during the summer. Each year staying at the same cottage named the “VIM.” Swimming, games, cook outs and whiffle ball in the big parking lot, where some of those truly, very cherished memories were made. Virginia Beach, Atlantic City where places to vacation when the children got older and Mary could enjoy her reading romance novels and other books of great interest. They celebrated all of their son’s accomplishments over the years, academically, athletically and socially , in high school, college, graduate school and law school; they couldn’t have been prouder. When Leo retired they were able to travel more often and they really enjoyed travelling back and forth to their most favorite spot in the world, Ireland; and for over fifteen years they were “snow birds, ” going off to Boca Raton for the winters. Here they continued on with all of the wonderful activities of being Floridians. Both Mary and Leo enjoyed golf, where much of their time was spent, along with visiting and receiving family and friends throughout the winter months, returning for Easter! When the grandchildren began arriving they were ecstatic! “Nana” loved being Nana and shared a very special relationship with them as a group and also as individuals. They too had the good fortune of sharing in vacation time with them Florida. A very kind, loving and generous woman, Mary was throughout her life, the matriarch of the family. A woman of great faith tremendous love of family, Mary was truly a good friend to many, never once looking back for anything in return. Sadly Mary was predeceased by her parents, beloved husband Leo, and dear son John “Jack”. Mary was the loving mother of Dennis P. McElhiney, his wife Barbara, and mother in law of Sheila McElhiney, all of Woburn. Dear sister of Joseph J. Sullivan, his wife Patricia of Woburn. Devoted “Nana” of Stacey D. Terry of Ipswich, Dennis P. McElhiney, his wife Alexandra of Peabody and Joseph L. McElhiney of Woburn. Cherished great-grandmother of Brianna, Alyssa and Cole Terry, and Stella and Spencer McElhiney. Also survived by many loving nieces and nephews, who all loved their dear “Auntie Mary”. A Funeral will be held from the Lynch-Cantillon Funeral Home, 263 Main Street, Woburn on THURSDAY, November 29th at 9 a.m. followed by a Funeral Mass in St. Charles Church, 280 Main Street, Woburn at 10. Interment in Calvary Cemetery, Winchester. Relatives and friends are respectfully invited to call at the Funeral Home, WEDNESDAY, November 28th from 3 -7 p.m. In lieu of flowers, donations may be made in Mary’s honor to the Boys and Girls Club of Woburn, 1 Charles Gardner Lane, Woburn, MA 01801 or to the La Salette Shrine, 947 Part Street, Attleboro, MA 02703. For directions or to leave an online condolence, please visit www.lynch-cantillon.com or Facebook under Lynch-Cantillon Funeral Home. A Funeral will be held from the Lynch-Cantillon Funeral Home, 263 Main Street, Woburn on THURSDAY, November 29th at 9 a.m. followed by a Funeral Mass in St. Charles Church, 280 Main Street, Woburn at 10. Interment in Calvary Cemetery, Winchester. Relatives and friends are respectfully invited to call at the Funeral Home, WEDNESDAY, November 28th from 3 -7 p.m. In lieu of flowers, donations may be made in Mary’s name to the Boys and Girls Club of Woburn, 1 Charles Gardner Lane, Woburn, MA 01801 or to the La Salette Shrine, 947 Part Street, Attleboro, MA 02703. For directions or to leave an online condolence, please visit www.lynch-cantillon.com or Facebook under Lynch-Cantillon Funeral Home. Our deepest condolences on the loss of your Mother. Our thoughts and prayers are with you. Dear Dennis and family, I am so sorry to hear about the passing of your Mom. I have so many great memories of Ash Street get togethers. I send my love to you and your family. Mary (Meuse) Walby I am now residing in North Carolina and will not be able to be with you on Wed or Thurs. Please accept our deepest sympathy on the passing of Mary. She was a lovely woman and we felt that she was more like an aunt to us. We have wonderful memories especially with her and Leo in Boca Raton. I am so sorry about your mother in law. May all the wonderful memories help you keep her spirit alive. Dear Dennis and family . So sorry for the loss of your mother. Most sincere condolences . Sorry to hear about your MOM Dennis.May she Rest In Peace. 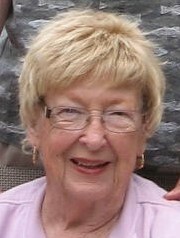 McElhiney family please accept my deepesy sympathy on the loss of a very lovely woman. She was always so nice to me and was a great friend to my father, Pete O’Brien.